WestJet will launch non-stop, year-round flights from Calgary and Vancouver to Mexico City beginning in MAR 2018. "We are proud of our continued investments in connecting the economies of Canada and Mexico and providing choice and competition for Canada's business and leisure travellers," said Ed Sims, WestJet Executive Vice-President Commercial. 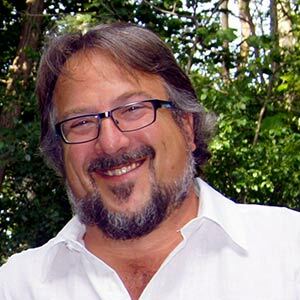 "These flights will also enable Mexican visitors an affordable option to discover our country and Mexican businesses to increase commercial ties." 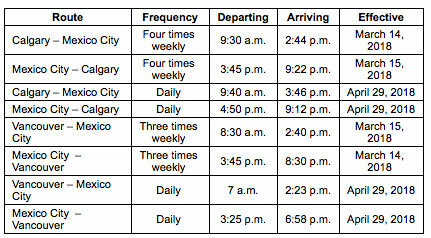 Starting 14MAR, WS will begin service with four weekly flights between YYC and MEX. On 15MAR, the airline will launch three-times weekly service between YVR and MEX. Effective 29APR, both routes move to daily service. WS currently serves 10 cities in Mexico from 17 Canadian cities, offering more non-stop routes than any other Canadian airline – at peak winter schedule will operate more than 140 flights per week. Since 2012, the airline's traffic to Mexico has grown by more than 50%. Last winter, WS flew an average of 18 daily roundtrips between Canada and Mexico, carrying a total of more than one million Canadian to that country.